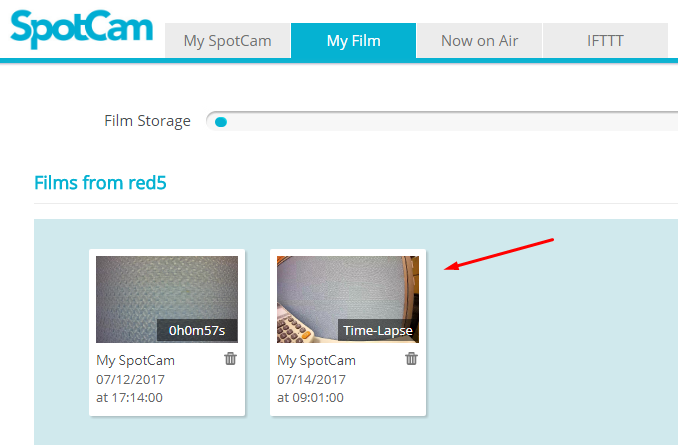 One of SpotCam's amazing cloud service is that you can make a film by exporting the video footage you like and share on Youtube/Facebook or download to your hard drive, it's all FREE! 2. Choose the type of video you want to make. 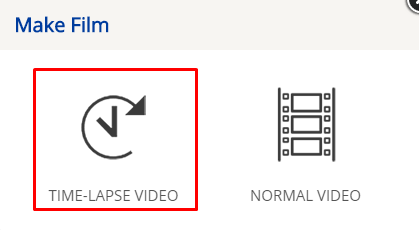 Here we choose time-lapse video. Check here if you want to know how to make normal video. 3. 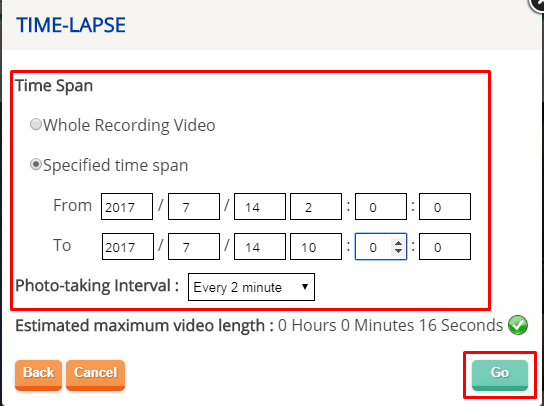 You will see a dialogue prompted after select time-lapse video. 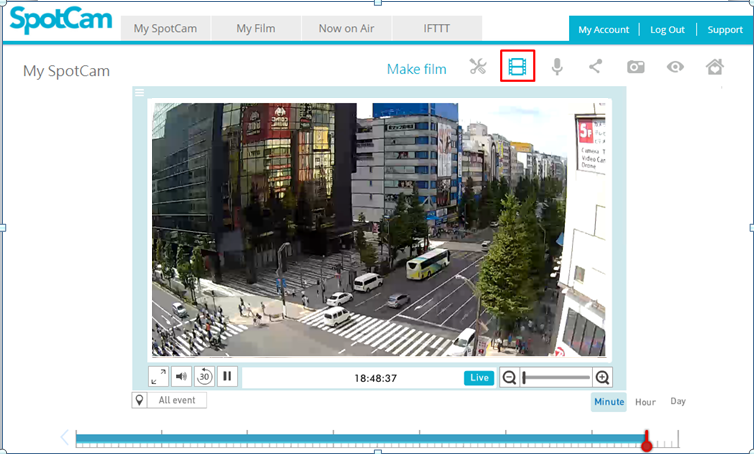 You can set time span of your time-lapse video as well as photo-taking interval. 4. Click Go to start making time-lapse video. Your film will be displayed in My Film page after process complete. Note sometimes it may take a while before your video is displayed, time required for making your video depends on how long is the video and how many people are making videos at the same time. Once your video is produced and displayed in My Film page, you can click on the film placeholder to play the video. 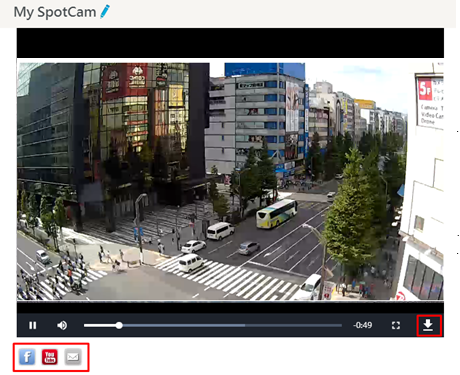 In the film player, you will see options to download or share to social network at the bottom of the player.